“when our skin is exposed to the sun's full spectrum rays, Nitric oxide is released into our microcirculation in our blood vessels that helps lower blood pressure while ALSO slowing electron chain transport to decrease our need for food. “The risks are great for women because they are built to be MORE SENSITIVE to blue light and nnEMF to pass the environmental information to the next generation by way of their germ line. Night shifts can cause cancer, cardiovascular and metabolic diseases. Study finds night shift workers DNA repair mechanisms are impaired, resulting in 30% higher levels of DNA breaks = melanopsin dysfunction of the PER protein at work. Currently, some of the most commonly prescribed medicines for asthma are inhalers containing a type of steroid called glucocorticoids. While glucocorticoids help most asthma patients, some patients who use steroids for a long time redevelop asthma symptoms, but we didn’t really know why. Glucocorticoids may work in part by suppressing Th2 activity, but Th17 cells in certain asthma patients are notoriously resistant to glucocorticoid actions. Th2 and Th17 are both decreases by sunlight exposure. Few people ever get told this. The collision of nnEMF on the air we breath collide and this can unleash cell damage in the bronchial cells to release potentially hazardous CpG-containing cell-free mitochondrial DNA (cf-mtDNA) into the airways to cause a reaction or even into the cerebrovascular tree to cause a more serious problem. The dose and the timing determine the severity of the response. process activates the innate immune reaction in our plasma. How the body avoids inappropriate innate immune activation by cf-mtDNA remains unknown but I have a strong belief that is cleared via our RBCs and are toll receptors in the blood because of how they work with the complement system in the innate immune response. Little man does not like when the sun hits his face (eyes) through glass but loves when the sun is directly shining on him. More n=1 showing being behind a window is not enough. Mike David and drezy like this. @Jack Kruse In regards to “WHY I HAVE NO LOVE FOR TESLA...” (https://forum.jackkruse.com/index.php?threads/why-i-have-no-love-for-tesla.23033/), what do you think about Tesla’s supposed scalar technology? I have many questions about its feasibility. For example, if you’re taking energy from the earth (only magnitude and no direction like an emf) then how is said energy replenished? Because obviously you’re transforming the type and eventually your source will become depleted (trending towards increasing entropy). Also, if he knew how to “harness” said energy and said energy could be used for health one wonders why he was depressed, etc. Is the increase in heteroplasmy rate due to loss of heat different and independent in D causing an increase in temperature when it becomes stuck in the ATPase in a cancerous state? Or they’re the same and the temperature rises in tissues and decreases in the matrix? Mike David and countingstarsx like this. In that image the heat that doesn't produce W either ends up going into TL (reducing the heat gradient)or getting caught in the heat engine, right? Right. I may not be understanding correctly though. Isn’t the matrix (mitochondria) the heat engine? So the heat leaves the mitochondria as work or dissipates as Ql (into the ecf). And if it doesn’t it is trapped in the mitochondria so the T should rise there. Which is consistent with the idea that if D is essentially causing more friction in the ATPase the mitochondria should be getting hotter. 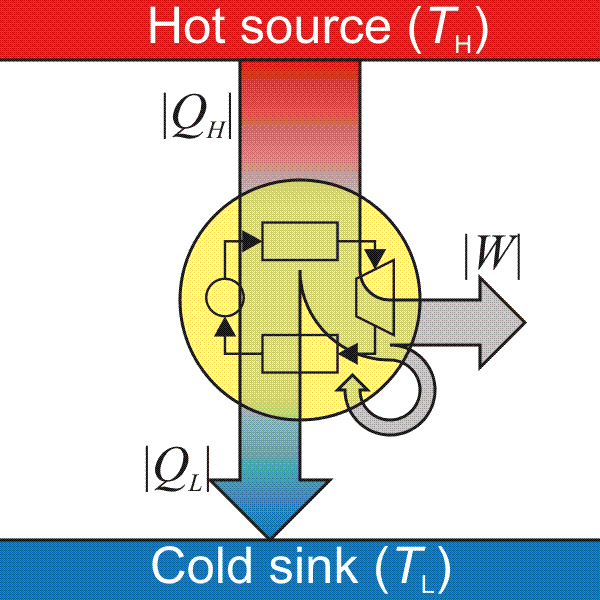 So heat in the matrix should be associated with low redox and high heteroplasmy. Mike David and JanSz like this. I wonder if people who see positive results from a “whole food plant based diet” approach for their cancer/ disease start their way of eating during/ in long light cycles. Or if the medication/ conventional intervention gives off/ causes the body to release specific frequencies of light that are consistent with longer light cycles. Did anyone listen to the recent bulletproof podcast with Dr. Martin Picard? I am normally not a fan of the podcast but saw mitochondria and thought I would hear them out. Dr. Picard did not know much about the biophysics and only discussed the biochemistry side. Dave seemed to ramble a lot and kept making plugs for his business and routines. Overall I did not learn much and am glad I listen to podcasts at 2x speed. I recently read Dr. Thomas Cowan’s book, “vaccines, autoimmunity, and the changing nature of childhood illness”. I am intrigued by his thoughts about how a healthy EZ creates boundaries that scale to our personal space, community, etc. @drezy where do you get the 50ct bags of oysters? Hey lady! I just dug through the garbage just for you! I must like you. Dave seemed to ramble a lot and kept making plugs for his business and routines. Overall I did not learn much and am glad I listen to podcasts at 2x speed. That’s some good bacteria . Thank you for your troubles! And his whole I am going to live to 180+ . The one thing I did like that Dr. Picard kind of hinted at was we need to get out of the way of our mitochondria and that includes not taking exogenous things. If DDT was the cause of polio myelitis then what toxin is primarily to blame for acute flaccid myelitis. The enterovidus in both could also have some impact but we have lived with them in our guts for years before with no significant issues. And of course nnemf opening our blood-tissue barriers gives the toxins and enterovirus direct access. Dr. Kruse’s interview with Jen Delaney was great! Especially the part about the agorithms. As a physicist I have always had a problem with how we look at most physics nowadays. For example we take mass amounts of data at colliders. That’s fine. The issue comes in when we use that data to “prove” or “find new” physics. In order to analyze the data one must create codes that you then run the files through. When one creates the codes they do so based on their understanding of the current physics paradigm. If that theory is incorrect all they continue to do is engage in confirmation bias. Therefore, if they’re looking for something they’re more apt to find it. Like Dr. Jordan Peterson discusses in his book “12 Rules for Life” rule four: compare yourself to who you were yesterday, not to who someone else is today. Where he argues if we don’t know to look for something, that something else exists, or we are told to focus on one thing we fail to see what is right in front of us. Because it takes a lot of cells and energy for our fovea to give us a clear image. And if we are not looking for it, well it flies by. And if they happen to find something unexpected that doesn’t mean that they “found something new” it could mean their foundational structure is incorrect. Sheddie and KrusinWitchie like this.